wide-field eyepiece; 48mm piano-concave mirror. Sales" for number to call. ed optics, HM 8mm eyepiece. 45 and 150 times erected. 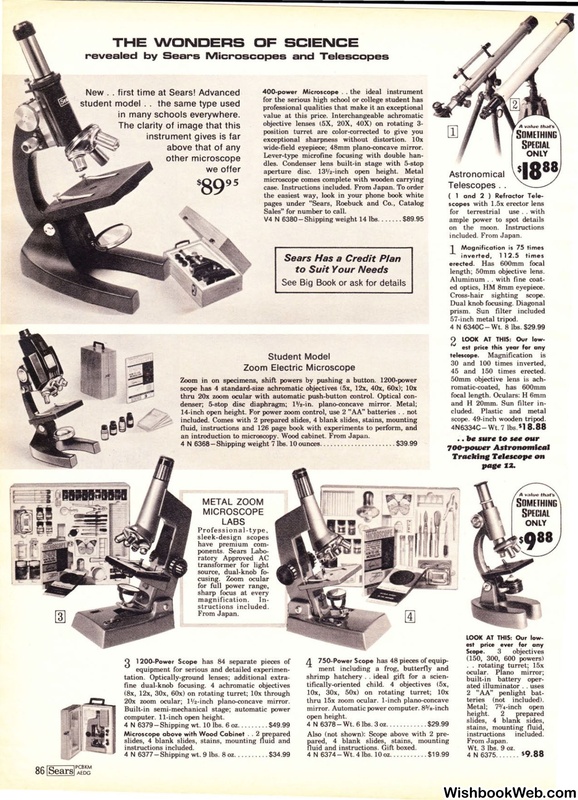 an introduction to microscopy. Wood cabinet. From Japan. 20x zoom ocular; 1''2-inch piano-concave mirror. Microscope above with Wood Cabinet ..
fluid and instructions. Gift boxed. Wt. 3 lbs. 9 oz. 4 N 6375.. . .. .